After going through planning a wedding & getting married our advice to everyone we meet is either elope or hire Promise Event Planners. We honestly would not have created our dream wedding without Payton at Promise Event Planners. She took our tiny pieces of inspiration and transformed all of them into a beautiful, creative, comfortable, elaborate wedding. Every little detail was perfectly thought out from the time we walked in the door to get ready for the wedding until all of our guests were on their way home with their party gifts. Throughout the entire process Payton allowed us to see and meet the best of the best vendors, not deal with little details that would stress us out, helped our families communicate, and overall created our dream wedding. In the end our wedding was beyond beautiful, but it also was very reflective of our personalities, relationship, and love: which is the difference between Promise Event Planners and other wedding planners. A planner can create a great event. Payton can create an event that feel emulates the couple and the love they share. She did just that for us. We used Payton and Promise event planners for our wedding on sept 15th in Keystone Colorado at keystone resort. We had a two year engagement and the only request my fiancée had in the beginning was for me to get a wedding planner asap. We met Payton and hit it off instantly. I decided on the full coordination package and she was there to help me with everything from day one. She took all my calls and texts even the ones in the middle of the night. Her constant reassurance was priceless for a worrier like myself. We had a few hiccups along the way with vendors and the venue but she always kept a positive attitude and worked it out until everyone was happy. The small details and design elements she thought of made the day beautiful. Everyone that came to my 200 person wedding has told me that they had the most magical weekend or that it was the “best wedding” they have ever been to. Payton was totally willing to work around what most would call our unconventional lives and create a party that people will be talking about for years and a ceremony that brought on all the happy tears. Since our wedding was technically a destination wedding I was blown away with the amount of time Payton took to get up to the venue and work on things months in advance. 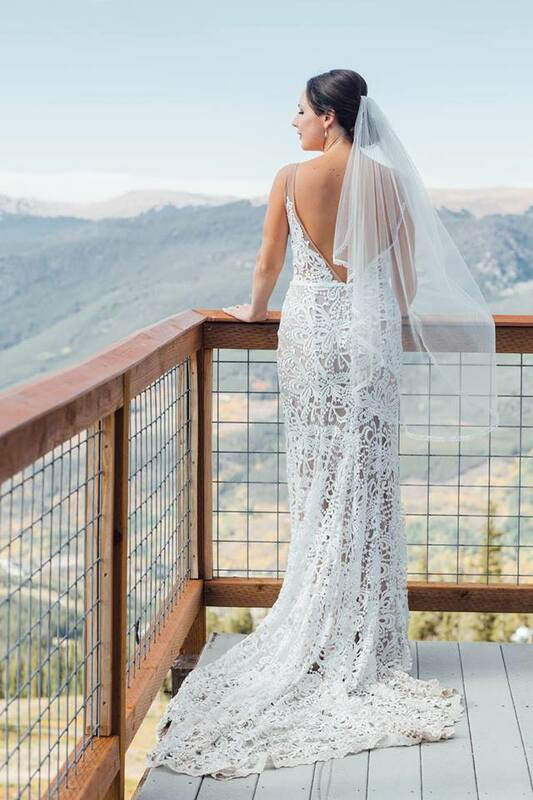 Our ceremony took place at the top of a ski mountain and she made sure all of our guest were comfortable and taken care of. I was impressed with her ability to then get down to the golf course and have the cocktail hour and reception rolling smoothly before we arrived back down the gondola. I would highly recommend Promise event planners and I can’t wait to look back at my wedding photos and videos to relive it again and again. "W.O.W.! Payton Bernstine is absolutely incredible. I used Promise Event Planner's for their full service wedding package. Payton was my go-to girl for everything and anything. She recommended all of my vendors to me and even found a last minute make-up/hairstylist one week prior to the wedding for my bridesmaids. She knows her stuff and is a great resource to find the best vendors in all of Colorado. Payton and I communicated weekly, if not everyday, for my crazy anxious needs. She was able to attend my meetings and FaceTime me in for events I could not be at. I was an out of state bride, so having Payton was such a relief. The day of the wedding could not have gone smoother. Payton and her team managed to make all of my wishes happen. She was there when I needed her and my parents absolutely adored her! My wedding ceremony was planned to be outside and it had been raining ALL day. When everyone was trying to convince me to move the ceremony to our back up location, Payton stuck with my decision to keep it outside and made sure everyone respected my decision. Not only was Payton a great wedding planner, but she also was a great friend. I know we will continue to have a lasting friendship." "On June 4th, we used Promise Event Planners, owned by Payton Bernstine, as our “day-of” wedding planner for our daughter’s wedding and reception (120 guests). Our event was at Chautauqua, in Boulder, where Payton had worked before, so she and her company came to us highly recommended. Promise, and Payton, made us proud! Even though this was the 5th of our kids to marry, and we are experienced with big events, in the hours before the wedding, various things went wrong. Vendors were late, wedding party members forgot things, as is common when the stress is high. Every time I texted Payton in a cry for help, she somehow already knew about the problem, and had the solution in hand. The wedding was perfect! As we went for our own pictures just before the wedding, I could see Payton in the distance darting from one place to another throughout this huge event venue. She probably needed running shoes, but did it all in a darling stylish outfit and shoes, so she looked as good as any guest. The whole day, and on the day of the rehearsal and other days when we used her services, Payton was confident, upbeat, had beautiful manners, and was fun to work with. Speaking of the rehearsal, Payton calmly controlled the kids in the wedding, the bride and groom, and the rest of us. She knew the answers to all the tricky questions. She efficiently ordered us all around, yet everyone accepted her pronouncements without question, and respected her input. It is rare to have that kind of persona, yet she does. We had several family members and friends ask for more information about Promise Event Planners, because Payton is so effective and cheerful, and just plain darn good at running her business and her events. We highly recommend this company!" I hired Payton with Promise Event Planners as a full-coordination wedding planner. Being an out-of-state bride (I am from LA got married in CO) I had to make many decisions based off of only online reviews and information with only one visit prior to the wedding. Payton assistedme in every decision every step of the way. From our first facetime, when I knew no details besides we wanted to get married and we wanted in Colorado, Payton took time to help understand my visualization and bring it to life on our wedding day. She helped me put the perfect combination of my own southern traditions twisted with their “Coloradan” way. She is very organized, detail oriented and patient (I’m very indecisive). My day turned out perfect and I owe it all to her! I hired Promise Event Planners (Payton) for day of coordination for my wedding and am SO glad I did! Payton is incredibly professional, detailed, pleasant and punctual. Every time I had a quick question about vendors or how something should go in my wedding she always had an answer and responded to emails very promptly. My rehearsal and wedding day went so smoothly because Payton was present. She's amazing! She had all the details down and guided everyone through my big day with great expertise and calming (it's no big deal) vibes. I highly recommend using Promise Event Planners- you won't be let down. It's hard to put into words how thankful I am for her time she dedicated to me and my family and how she helped on my big day. HIRE HER- don't look elsewhere. I can't rave enough about Payton, her creativity and attention to detail made my wedding day a dream come true! I was an out-of-state bride and with Payton by my side the planning process was virtually stress free. Payton was extremely accessible, she had great relationshipswith numerous vendors, and was able to handle all of my last minute requests with a sense of calm that was very comforting. In addition to the actual wedding day planning, Payton also planned a beautiful rehearsal dinner experience at the Botanic Gardens, an After Party at Nativ Lounge, and several weekend activities from pedal bar and day trips to Boulder for out-of-town guests. My husband and I could not have been happier with Payton and her team, and thank her for helping us to create beautiful lasting memories. Payton rocks!!! Hiring Payton as our "day-of" wedding coordinator was one of the best decisions we made for our wedding. The moment we met her we knew we wanted to work with her as she was so sweet and personable right off the bat. From the planning stages, she checked in on us making sure that everything was going well and would offer up help and creative ideas to make our day perfect. She was always ready and willing to listen to my concerns and work with us to make sure that they were handled all throughout the planning process. She was always flexible and able to take on anything I asked of her and more. We had a mountain wedding but live in Denver and Payton helped to transport gift bags, decor, etc. to the venue for us. When it came time for the wedding day both Payton and Mackenna were there to not only set up everything beautifully behind the scenes, but were also there for us and the wedding party to help organize all of our things to make sure everything and everyone were in the right place at the right time. Payton understood my vision and was able to turn it into a reality all on her own and left me stress-free from setting everything up just right. 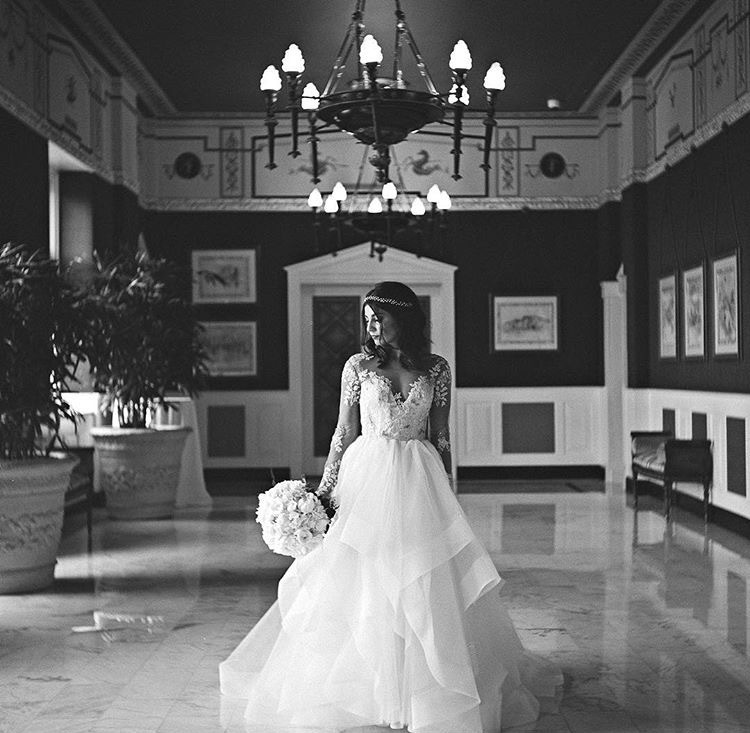 Everything was handled flawlessly and we felt very comfortable the whole day and night leaving it all in her hands. Payton and Mackenna even stayed quite late into the evening cleaning things up and getting everything back to our room safely and in a well-organized manner. In fact, our room had a nice surprise waiting for us when we got back. Long story short, hiring Promise Event Planners is 110% the right decision to make if you have any doubts. I don't even want to imagine what the day would have been like without them. They made everything run so smoothly and because of them we were able to focus on enjoying our wedding! Steven and I can't thank you enough for all you did to make Morgan & Luke's wedding such a success. You and your team were on it, being so helpful with every tiny or large detail. From our first interview on FaceTime 8 months prior to leaving the reception at 1:00am, you made it seem like we were your only client. You always had the answer whether it was a vendor referral or remembering a small detail. You were so calm, poised, honest and nothing seemed to phase you. Being out of state, it was so awesome that we could ship items directly to you. You were great about meeting with vendors for us when we couldn't be there and picking up items for us. We couldn't have pulled off this spectacular wedding without you. Payton, you are a class act and would highly recommend you and your wedding planning services to anyone. My fiancé and I had the absolute pleasure of working with Payton to plan our wedding last Fall and we could not be more happy. Through all the tiny details leading up to the wedding and the coordinating that is required on the actual wedding day, Payton was irreplaceable to us and we couldn't have done it without her. She's extremely organized, determined and gets the job done with class. Definitely recommend her to anyone looking for a stress free wedding! It's hard to know where even to begin with my review of Payton's services. She was worth double what we paid her and our day truly wouldn't have been as special as it was without her making sure everything went flawlessly behind the scenes. When my husband craved a cup of coffee during the middle of the reception, she rushed up to make him a pot. When our table cards flew away, she went around and handed them out individually. When our driver didn't show up at the end of the night, she threw our suitcases into the back of her car and drove us the extra half hour out of her way. She not only was a wonderful planner but a partner in crime and friend throughout the planning process. I would recommend her again and again, a thousand times over.